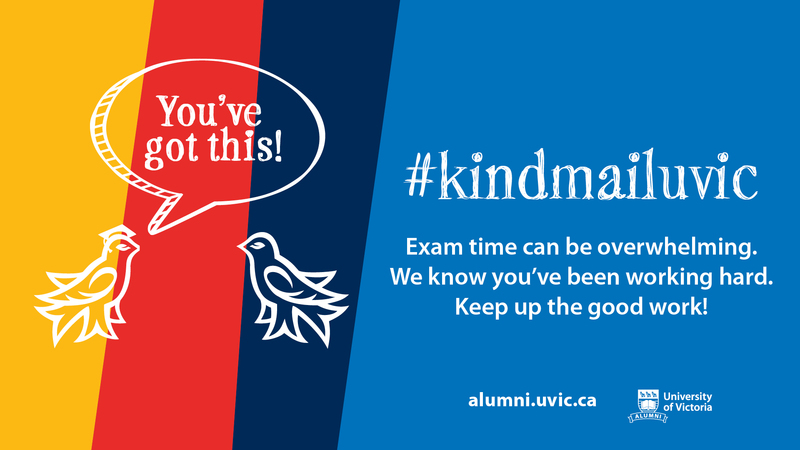 Last February, the University of Victoria unveiled UVic Edge, a branding initiative meant to convey a “consistent” image of a forward-thinking institution. But Divest UVic’s volunteer organizer, Malkolm Boothroyd, argues that UVic’s investments in the fossil-fuel industry contradict this new image. After years of awareness and support raising, Divest is now urging university decision-makers to vote on the issue at their Board of Governors meeting in January. Boothroyd’s point is well founded: Scientists say we need to leave over 80 per cent of remaining fossil fuels, including almost all of the tar sands (where Suncor operates), in the ground in order to maintain a liveable climate; and Indigenous groups, such as the Wet’suwet’en of Northern B.C. and the Beaver Lake Cree of Alberta, are fighting to protect their treaty rights from oil company violations. The University of Victoria Foundation has over $20 million invested in the fossil fuel industry. The foundation oversees more than $379 million of UVic’s assets and will distribute $14 million in the 2015-16 tax year to funds that support scholarships, bursaries, awards, and research centres. Since 2012, the board has been asked multiple times to divest of oil stocks, and has said no. The Foundation has since adopted responsible investing principles which require more disclosure from investment managers on social and environmental factors, but Coward admits they contain no real measure for how ethical investments are. The moral argument seems to be more popular at UVic than the financial one, as Divest UVic has steadily gained support. The group formed in 2013 and spent the first couple of years raising awareness through petitions, classroom talks, and tabling sessions with students and faculty. Two publicity stunts in 2014 brought the group further into the public eye. The first, a satirical rally held on April Fools Day, saw fake oil rigs set up in front of the library to convey the message that if UVic is keen to invest in the oil industry, they should allow drilling on campus. 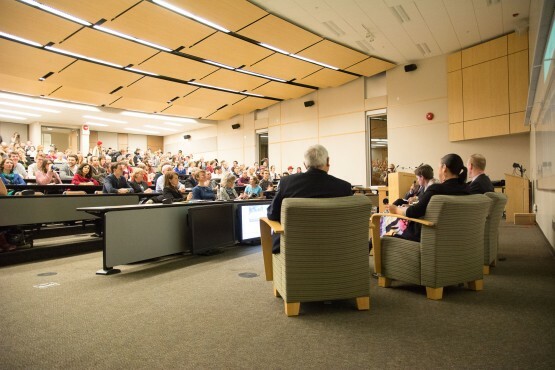 The second event, in October 2014, saw helium balloons used to float a banner up to the ceiling of Administrative Services, demanding investments in line with UVic’s sustainability policies. The movement received a boost when UVic faculty voted 66 per cent in favour of divestment in February 2014. This was followed by a student referendum, in March 2014, wherein students voted 77 per cent in favour of the UVSS actively supporting the divestment movement. Faculty proceeded to send letters to Lisa Hill, Foundation Chair, copied to President Jamie Cassels, presenting the case for divestment. Letters also went out to the pension trustees, asking that pensions be divested. In January 2015, Divest UVic found out, late in the game, that the university was hosting a roundtable on climate change and divestment and demanded they, and a First Nations representative, be included. Boothroyd was one of five speakers, including Crystal Lameman of the Beaver Lake Cree Nation, and Vice President of Investor Relations at Suncor, Steve Douglas. Suncor’s participation signalled to Divest that the major tar sands player was worried about divestment. After years of engagement, and with a huge amount of support for divestment within the UVic community, Divest UVic believes they have met the requirements to reasonably ask the university, and in particular Jamie Cassels, to articulate a clear position on divestment. Divest would like to see the Board of Governors cast a vote at their January meeting. A favourable vote would allow the university to begin a multi-year divestment process. In the meantime, supporters of divestment will have to wait to see if the Edge really is a cohesive picture of a progressive university, or just another reminder of what we are coming perilously close to tipping over.